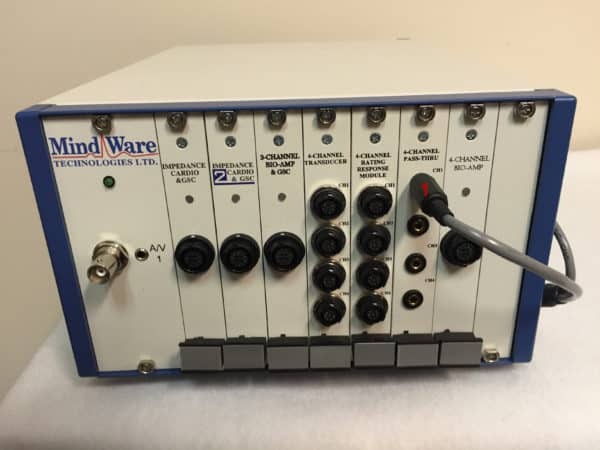 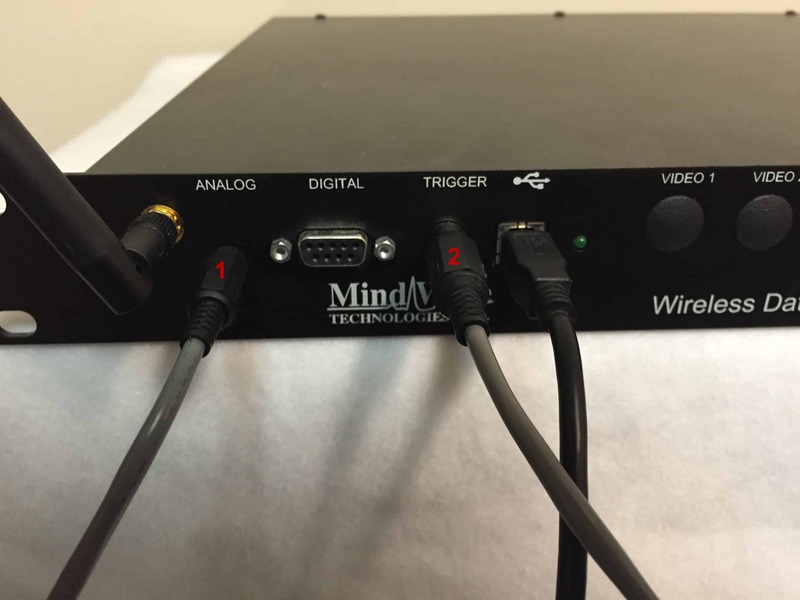 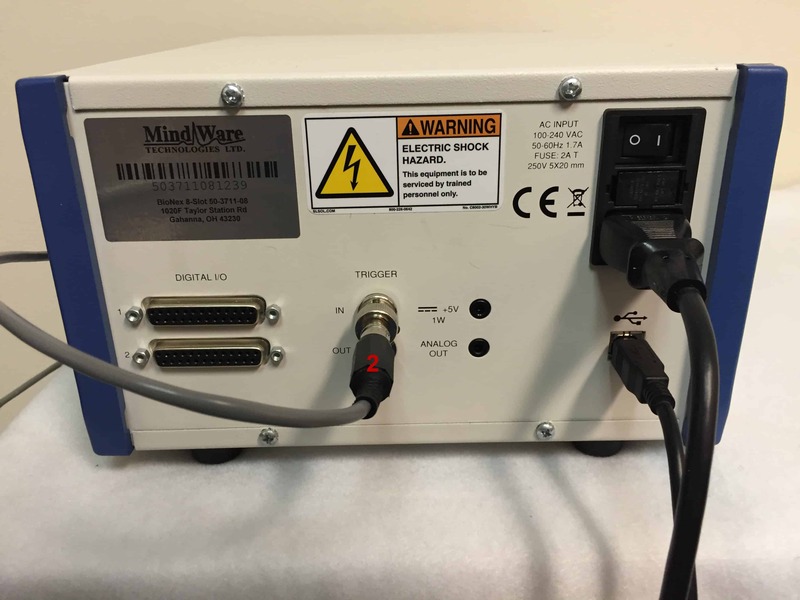 The Noldus Trigger cable connects the computer running The Observer XT by Noldus to the MindWare data acquisition hardware, allowing for The Observer XT to trigger the start of data acquisition and transmit the Time Code, or TCAP, signal for synchronization purposes. 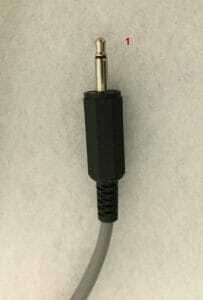 Connector 1 is a male 1/8″ (or 3 1/2 mm) mono plug which is used for capturing the TCAP signal..
Connector 2 is a male RCA plug which is used to trigger the start of acquisition. 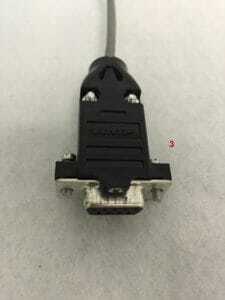 Connector 3 is a DB-9 connector which should be plugged into the serial port of the computer running The Observer XT. First, take Connector 2 and plug it into the Trigger In port on the back of the BioNex. 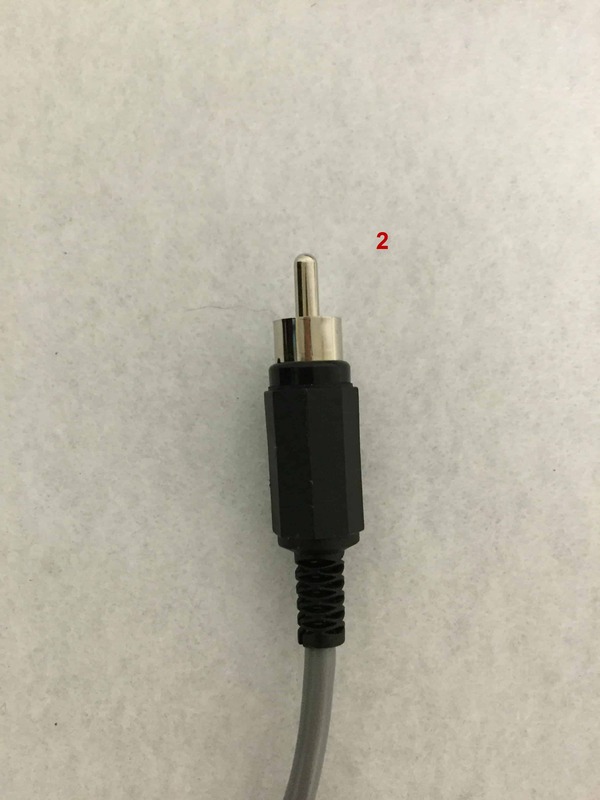 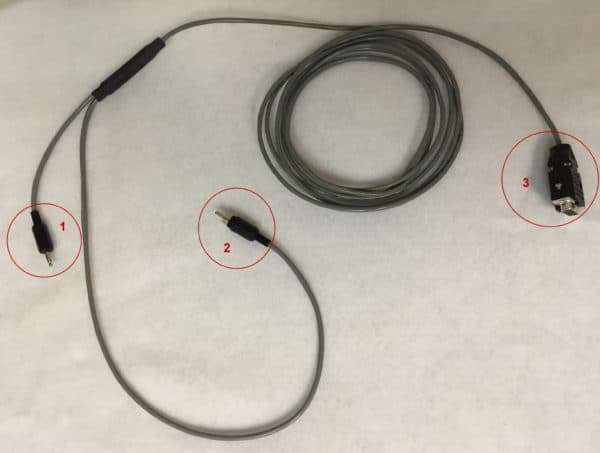 Note: Connection to some BioNex systems may require the use of a BNC-to-RCA adapter. Next, plug Connector 1 into the input of a 4-Channel Pass-Thru module on the front of the BioNex. 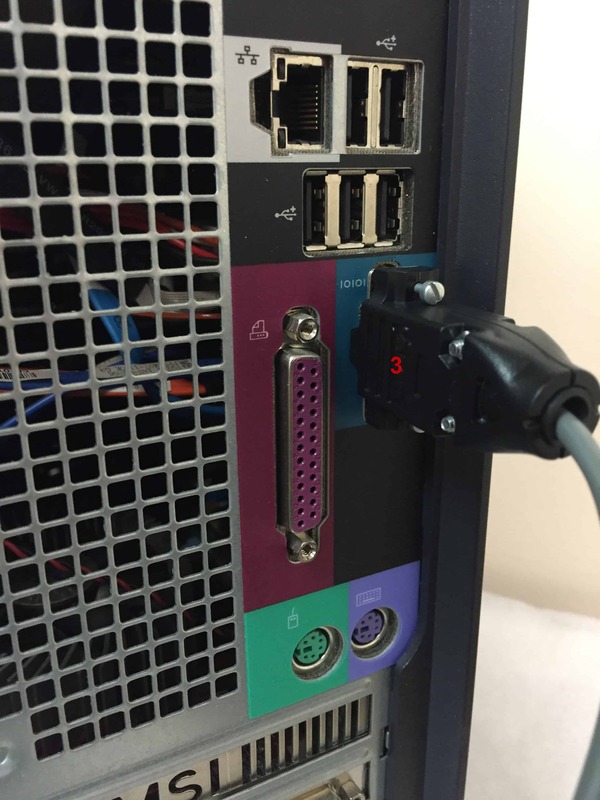 Plug Connector 3 into the serial port of the computer running The Observer XT. Be sure to tighten the terminal screws on the connector to secure the connection. For information on configuring BioLab and The Observer XT software packages, please see Triggering BioLab with Noldus Observer XT.